There are a thousand and one ways to use duct tape. Mostly, those uses for duct tape involve attaching things together, mainly because it is an adhesive. Then again, you may be surprised at what some people have found as unusual uses for this miracle worker. You can use different colored duct tape for decorative book covers. You may also use it to solve a variety of car troubles. 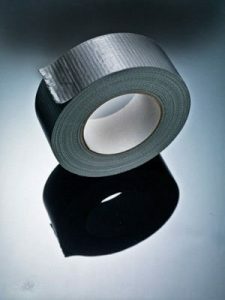 From broken tail lights to unattached rear view mirrors to a cracked windshield or car windows to car hoods that will not shut, you sure will find it helpful to have some duct tape tucked away in your tool box. You may also use duct tape as home remedies not just for some troubles but also for style and design problems. They can make very nice wallpaper. They can also be used as an art medium; they can be used as a reflective lettering to decorate your scrapbooks and other paper crafts. They can also be used to make decorative lawn furniture and decor. You may also use them to patch holes in your vinyl siding. They will also hold the batteries in your remote if the regular cover is broken or missing. It can also help reinforce the cord of your phone or it can also be used to remove lint from your clothes. Duct tape is also handy in case of sporting needs. You can use it to line up a sporting event field. You may also roll some into a ball for your hockey practice. You may also use it to repair racquetball racquets. Duct tape may also be used for health and beauty. You can pull unsightly hairs with it. There is no need for you to pay a salon and have them waxed. You may also use some as earrings, as a girdle, for shoe design, as a nail art and even as a belt among others. They are also a great item to use on mannequins that almost always lose their wigs. 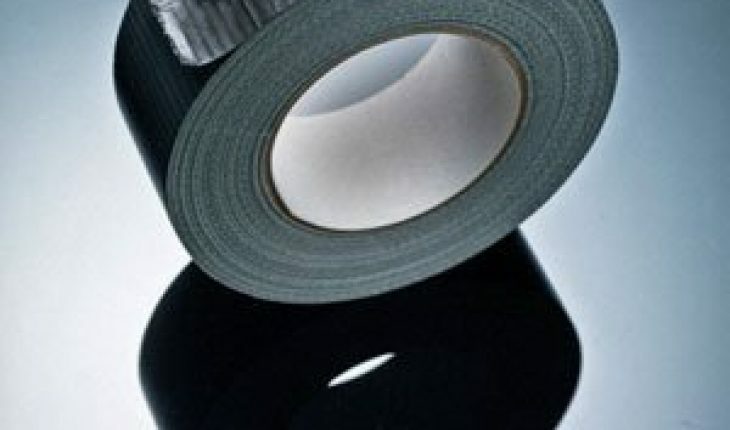 There are many duct tape uses for special occasions, especially during the Yuletide season. You can use it to hang your lights and not have any problems taking them down. You may also use them to wrap your Christmas presents. Forget about the decorative paper. You can make personalized decorations according to your creative mind by using your duct tape straight as the perfect covering for your gift box. If it is useful during Christmas, duct tape will also make a useful presence during Halloween. You can use it to make a costume that will accompany you to fame come party time. If you are really creative, merely staring at your duct tape will make you discover new uses for it. This is what is amazing about such a handy tool. There is no limit as to how you can use it. You can go as far as your creativity permits. If you love gags, it is also a practical tool to use as it is not that expensive but can make a good fool out of people. You can use it to make anything – anything that your mind can picture. There are also other duct tape uses that you would be surprised at finding. They are not too common but that is not to say that they are not possible. Duct tape can serve as a useful band-aid for really big cuts. You can use it as a temporary bandage until you are able to avail of a proper one. You need not to try finishing off a bag of chips until your eyes bulge. You can use some duct tape to reseal the bag and avoid stale chips, without much trouble. You can just fold the bag in half and secure it with the tape. Are you tired of worrying about leaving your car key inside and not find a way to get in? You may secure a duplicate car key with some tape in your undercarriage to save you in case of a memory gap. Duct tape can be used as a mouse trap and as effective fly paper as well. Yes, you can carefully put a roll of tape on your kitchen counter to catch pesky mice. You may also hang them anywhere your unwanted flying house guests are around. In case you have found the most terrific pair of jeans only in a not-so-ideal length, duct tape can help you do the hem without much trouble. Use your ever-reliable duct tape to sew through your denim jeans without the stitch marks. They will last long enough, more than you could imagine. They can last a couple of washes, if you are really good at taping. As you can see, the possibilities are literally endless.